There are two main problems that could happen when drinking beverages while wearing Invisalign®. Drinks might stain or warp your aligners. Drinks aside from water can always damage your teeth. Beverages that have a dark or strong color can result in your aligners getting stained. These drinks might include soda, wine, coffee, and tea. Other beverages that have strong colors, if consumed regularly enough, can also stain your aligners. Newer Invisalign® materials, while being better than the old plastic, tend to cause the device to get stained more easily. Hot liquids, such as tea, coffee, and even soup, can warp your aligners. These appliances are made from thin plastic, and are molded using heat. Because they are made using heat, they can also be bent and warped just by a very hot cup of tea. Sugary beverages or strong, dark beverages can damage your teeth in general. Invisalign®, and other brands like it, create a barrier between your mouth and your teeth. The isolation this causes can increase the harm that already harmful beverages can do to your teeth. To explain further – sugary beverages are harmful in general. The reason they can be more harmful while wearing Invisalign® is that saliva, which helps wash and protect your teeth from bacteria, can no longer get to all the bacteria that it needs to dilute or clean. 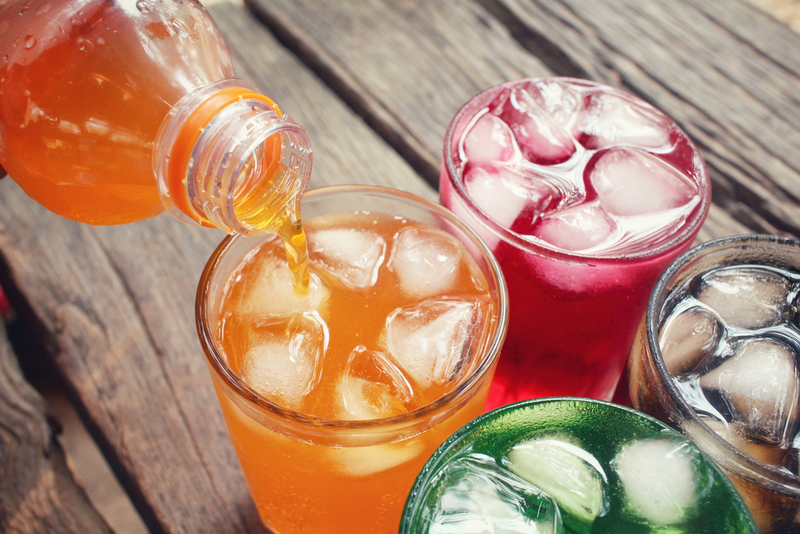 Acidic beverages, such as some fruit drinks and soda, can damage teeth and cause tooth decay. This is dependent on how acidic the drink is, and how long the drink sits on the teeth before being brushed or rinsed. When someone wear’s aligners, it allows the beverage to sit inside and build up in the aligners. Like sugary drinks, saliva cannot effectively dilute the bacteria or acid. Also, the aligner will hold the acid against the teeth for a much longer time than if the person had no aligner. We encourage you to drink water when wearing aligners! Water is not only great for you, but it’s also great for your aligner! It will not stain or warp them, and any water that gets inside your aligner will help to remove bacteria that can damage your teeth. You can still drink all your favorite beverages! Just remember to take out your aligner before you enjoy your morning cup of coffee or tea. When you’re done with your drink, floss, brush, and rinse your teeth before putting your appliance back in.